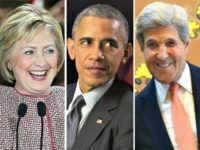 Former Trump 2016 campaign adviser Michael Caputo said Tuesday that a Russian FBI informant attempted to frame him by offering damaging information on then-Democrat presidential candidate Hillary Clinton during the election. 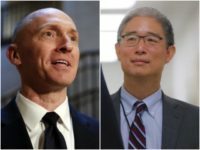 The Obama-era FISA warrant obtained to monitor the communications of Carter Page was most likely utilized as a gateway to spy on the rest of Donald Trump’s 2016 presidential campaign, contended William Binney, a former highly placed NSA official turned whistleblower. 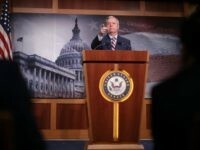 Senate Judiciary Committee Chairman Lindsey Graham (R-SC) said his committee will start to investigate the FBI and DOJ’s abuse of the FISA warrant process and surveillance of the Trump campaign and called for a special counsel to investigate these potential abuses of power during a press conference on Monday. 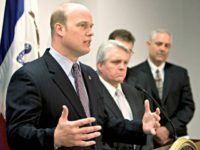 Attorney James Baker had what D.C. considers a long and distinguished career at the Justice Department – his last position was general counsel of the FBI – until he got himself involved in the anti-Trump machinations of disgraced former Director James Comey and his co-conspirators. 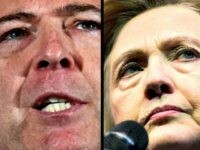 NEW YORK — In testimony, James Comey admitted that when he infamously briefed then President-elect Donald Trump about the controversial dossier, Comey did not inform the incoming president about who financed the document. 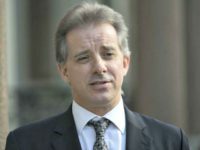 Christopher Steele, the former British spy who prepared the Russia “dossier” that has led to more than two years of investigations into President Donald Trump’s campaign, told a London court that he was hired to provide a basis to challenge the legitimacy of the 2016 presidential election in the event that Trump won. 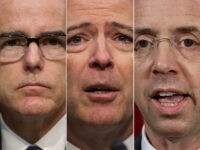 In testimony, former FBI Director James Comey says that prior to signing a FISA application to obtain a warrant to conduct surveillance on Carter Page, a former adviser to President Trump’s 2016 campaign, Comey was aware that the dossier authored by former British spy Christopher Steele was financed by Democrats who opposed President Donald Trump. 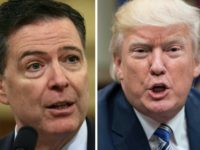 An admission by Comey appears to confirm a belief Republican investigators have held since Trump was elected to the White House: The FBI failed to adequately verify the anti-Trump dossier used to surveil Trump campaign members during the 2016 presidential election. 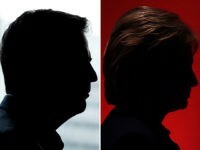 Trump threatened to declassify documents that would expose the DOJ, FBI, and Clinton campaign if Democrats probe into his administration. 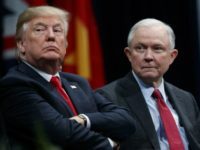 Trump dropped a bombshell on Wednesday when he appointed his former Sessions chief of staff Matthew Whitaker to serve as acting attorney general. 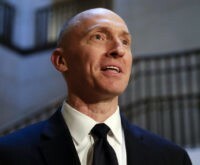 Carter Page, a former foreign policy adviser to President Donald Trump’s 2016 campaign, is suing the Democratic National Committee and law firm Perkins Coie for defamation over their role in the Steele dossier. 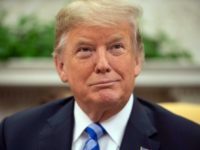 President Trump will reportedly declassify documents that are expected to reveal how the government justified its investigation into his campaign. 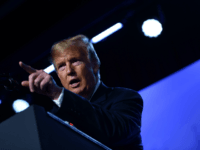 On Thursday, a dozen Republican congressmen led by New York Representative Lee Zeldin asked President Donald Trump to declassify key documents in the Russian election interference probe. 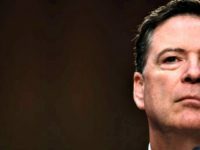 Jonathon Moffa, an FBI agent, admitted to Congress his agency leaks stories to the news media, then uses the resulting stories to back up assertions in warrant applications, according to a series of reports Tuesday. 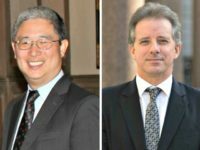 Justice Department Official Bruce Ohr is expected to testify in front of the House Judiciary Committee on August 28 about his relationship with Trump dossier author Christopher Steele, according to Rep. Mark Meadows (R-NC). 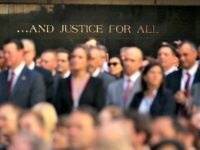 A year ago, on July 19, 2017, Judicial Watch filed a Freedom of Information Act (FOIA) request with the Justice Department for copies of the applications it made to the Foreign Intelligence Surveillance Court for warrants regarding alleged Russian interference in the 2016 election. 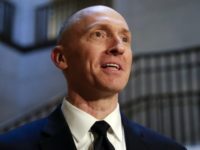 Two House Republican chairmen called for the Foreign Intelligence Surveillance Act (FISA) applications on Carter Page to be unredacted. 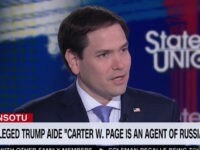 President Donald Trump highlighted Monday the revelation of the FISA warrant used to spy on one of his foreign policy advisers Carter Page. 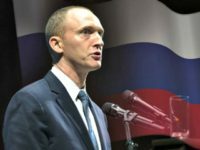 NEW YORK — Documents released on Saturday related to the wiretapping of former Trump campaign adviser Carter Page reveal information that contributed to the government’s application to monitor Page originated with the State Department under the Obama administration in October 2016. 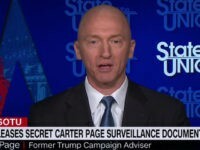 The DOJ has released documents detailing surveillance of Carter Page pertaining to the FBI’s probe into collusion between Trump and Russia. 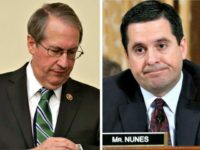 House investigators scored a victory this week after the FBI turned over documents detailing how senior law enforcement officials handled “surveillance records,” involving Trump associates, along with documents on the agency’s informant program. 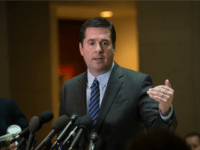 House Intelligence Committee Chairman Devin Nunes (R-CA) is giving the Justice Department and Federal Bureau of Investigation by the end of this week to comply with subpoenas for requested information before he starts taking action. 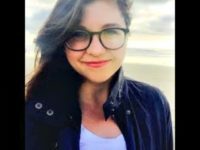 The Department of Justice announced Thursday the indictment of Senate Intelligence Committee veteran James Wolfe, accused of making false statements about transmitting classified information to reporters such as then-Buzzfeed News turned New York Times reporter Ali Watkins. 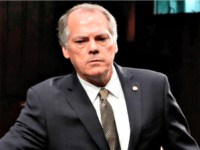 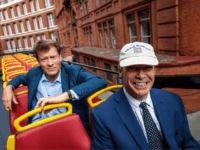 James Wolfe, the former Senate Intelligence Committee security director charged with lying about his contacts with a series of journalists – including his former paramour, New York Times reporter Ali Watkins – appeared in court Friday after his arrest late Thursday night. 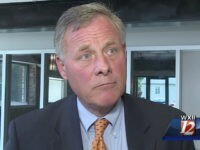 Senior Justice Department officials announced late Thursday criminal charges against Senate Intelligence Committee’s long-time director of security James Wolfe. 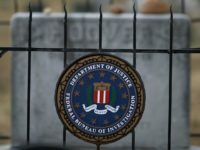 Congressional investigators are looking into the role that foreign allies might have played early on in the FBI’s investigation of the Trump campaign, amid irregularities on normal information sharing practices. 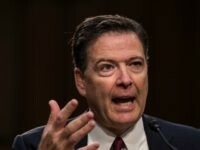 Carter Page, one of the three Trump campaign members FBI informant Stefan Halper contacted during the 2016 presidential campaign, says James Comey’s FBI left his life in shambles.